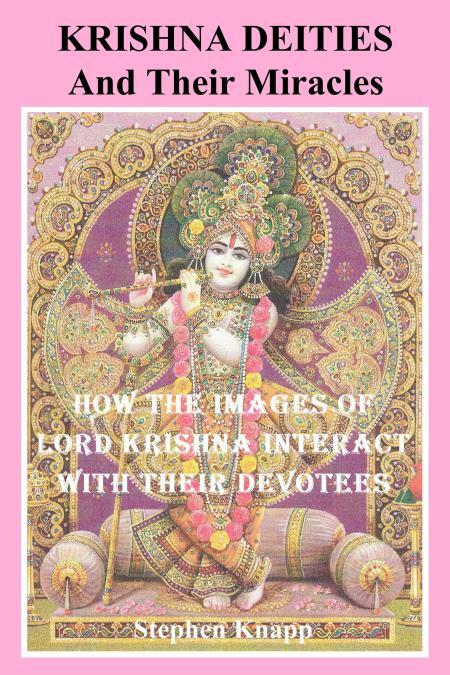 This book helps reveal how the Deities of Krishna in the temple are but another channel through which the Divine can be better understood and perceived. In fact, the Deities Themselves can exhibit what some would call miracles in the way They reveal how the Divine accepts the Deity form. These miracles between the Deities of Krishna and His devotees happen in many different ways, and all the time. This is one process through which Krishna, or the Supreme Being, reveals Himself and the reality of His existence. Stories of such miracles or occurrences extend through the ages up to modern times, and all around the world. This book relates an assortment of these events to show how the images in the temples have manifested Their personality and character in various ways in Their pastimes with Their devotees, whether it be for developing their devotion, instructing them, or simply giving them His kindness, mercy or inspiration. This book helps show that the Supreme Reality is a person who plays and exhibits His pastimes in any manner He likes. This is also why worship of the Deity in the temple has been and remains a primary means of increasing one’s devotion and connection with the Supreme Being. The antiquity of devotion to the Deity in the Vedic tradition. Historical sites of ancient Deity worship. Scriptural instructions and references to Deity veneration. The difference between idols and Deities. What is darshan and the significance of Deities. Why God would even take the initiative to reveal Himself to His devotees and accept the position of being a Deity. This book will give deeper insight into the unlimited personality and causeless benevolence of the Supreme, especially to those who become devoted to Him. ORDER YOUR COPY TODAY: 210 pages, 6"x9" trim size, $14.95, ISBN-10: 1463734298, ISBN-13: 978-1463734299. To get the latest version of Adobe Reader to read the E-book, use this link: http://get.adobe.com/reader/otherversions/.